Do you have a favorite muffin recipe? 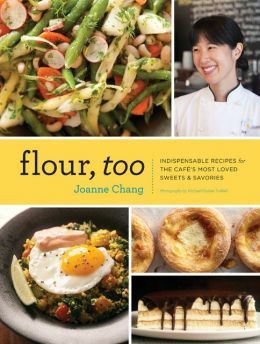 Use that delicious muffin to win a signed copy of “Flour, Too,” the second cookbook by Boston chef Joanne Chang that features recipes for the savory fare that have made her four cafés Boston’s favorite stops for breakfast, lunch, and dinner. Send your favorite homemade muffin recipe to food@csps.com. Please include an ingredient list, step-by-step numbered instructions, along with your name, hometown, and e-mail address. Please submit your recipe by August 1. Stir It Up! will narrow down submissions to three finalists, and the folks here in CSMonitor.com newsroom will vote on the winner. The winning recipe will be featured on Stir It Up!, and the baker will receive a copy of “Flour, Too” signed by chef-author Joanne Change. Show us your creations: We also love food photos. Pictures inspire readers to try something new. So be sure to submit your mouth-watering muffins artfully displayed. (Hint: natural light works best. For reproduction on the web, photos should be 600 x 400 DPI.) 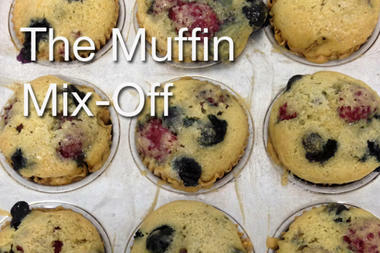 Pin your photo on Pinterest or tweet your Instagram picture using the hashtag #muffinmixoff. Follow us on Pinterest and Twitter for contest updates.